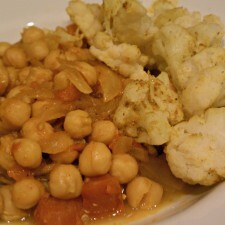 Here is the recipe for the roasted curried cauliflower that I promised yesterday. 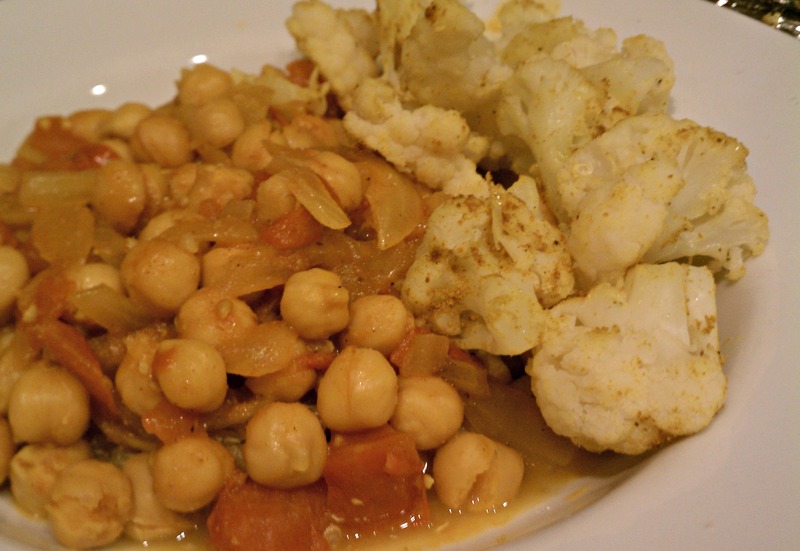 Serve with my recipe for chana masala for a complete meal. Preheat oven to 375 degrees. Coat a rimmed baking sheet with coconut oil cooking spray. In a large bowl, stir together coconut oil, mustard seeds, cumin seeds, curry powder, and salt. Add the cauliflower, tossing to coat thoroughly with spice mixture. Arrange cauliflower in a single layer on prepared sheet. Roast until florets are browned on bottom and tender when pierced with the tip of a paring knife, about 35 minutes. Serve hot.